Police are at the scene of an RTC on Foreglen Road. It is understood the incident happened late last Monday night November 28. 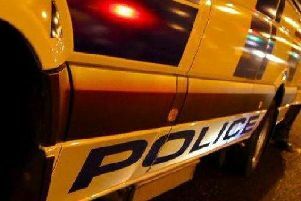 The PSNI said: “Fortunately the home owner had locked and secured all doors and windows with good quality locks and so no entry was gained. “Do you live in the area or were you passing through at that time? Did you notice anyone acting suspiciously in the area? The suspect, or suspects, were possibly wearing gloves. “If you know anything that could help, please call 101. The incident number is 1263 of 28/11/16. “These sort of people are near the bottom of the list of folk we want around town, especially running up to Christmas. If you know who is responsible for burglaries in the area, give us a call. We want to see them locked up as much as you do. Generally speaking, please remember to do like this home owner did. Lock and secure anything that can open. A cheap lock is a false economy. Hide presents and valuables from sight when you’re out.